Pastor Wang Yi of the Early Rain Covenant Church, one of China's most prominent unofficial churches, has been criminally detained for allegedly inciting subversion of state power, according to his mother. Chen Yaxue, Wang's 73-year-old mother, told the South China Morning Post that Chengdu police came to her flat on Wednesday morning. "They brought along an arrest notice asking me to sign. It said my son has been placed under criminal detention for allegedly inciting subversion of state power," Chen said. She said she did not understand what that meant so did not sign the document. According to China's criminal code, the charges could result in a sentence of up to five years, but up to 15 years in extreme cases. Wang has yet to be allowed to meet with lawyers or family members. Chen said she was under round-the-clock surveillance, along with her 11-year-old grandson, by three to four security personnel outside her home. "They follow us whenever and wherever we go," she said. "The surveillance has taken a huge toll on my grandson. He is emotionally shocked with [his parents taken away]. He has not slept for two nights." Chen said police escorted her grandson and Wang's wife to her home around 8pm on Sunday evening to arrange care-taking arrangements for the boy. Jiang was allowed to stay for only two hours. Chen said local community officers kept pressuring her to send her grandson to a nearby school. The boy was previously a student of a primary school run by the church that has been raided. Meanwhile, Wang's assistant Li Yingqiang, who had been posting updates about the crackdown online, has been criminally detained for allegeldy picking a quarrel and inciting trouble on the internet, according to members of the church. Ge Yingfeng, a church staff member, and Lu Jinheng, a church member, were detained for alleged illegal operations. The Chengdu city government did not respond to the Post's faxed inquiries requesting comment. Two days after Wang was taken away, church members released an open letter he wrote in September. He had given instructions that it be publicised if he went missing for more than 48 hours. In it, the pastor said he would use non-violent methods to stand by his faith and oppose the laws that he said were against the Bible and God, including those that allow crackdowns on churches. "My Saviour Christ also requires me to joyfully bear all costs for disobeying wicked laws," Wang wrote. Before becoming a pastor, Wang was a human rights activist and a constitutional scholar. His reputation reaches far overseas, especially among the Chinese Christian community. 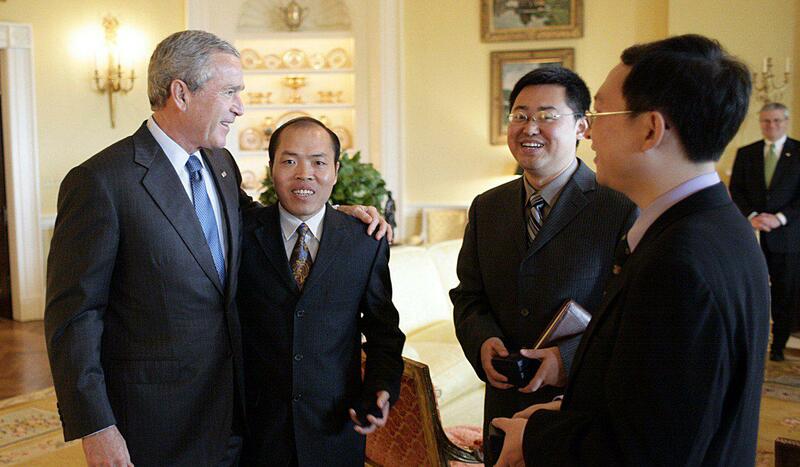 In 2006, Wang met then US president George W Bush in the White House. 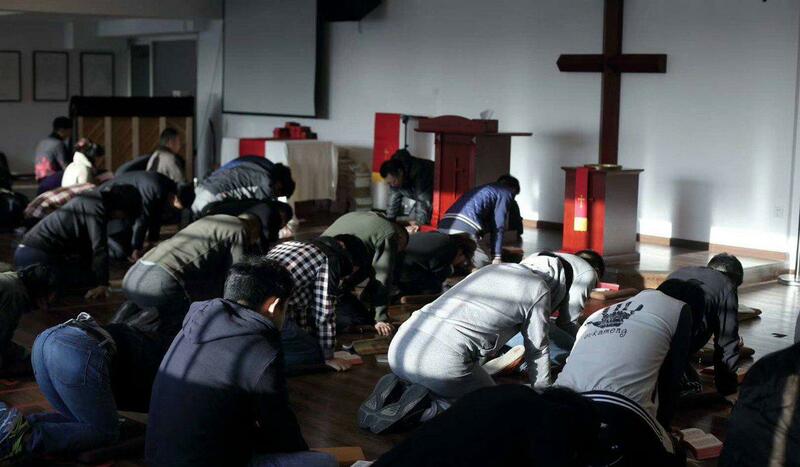 The round-up in Chengdu is part a broader crackdown on unofficial or underground churches that Beijing has escalated this year. The moves were bolstered by amendments to the Religious Affairs Regulation that gave grass-roots officials more power to act against churches and impose tougher penalties for "unauthorised religious gatherings". While most of China's Protestant house churches operate underground, the Early Rain congregation openly practises its faith, posting sermons online and evangelising on the streets. It has about 500 followers but its weekly gatherings spread across more than a dozen meeting points around Chengdu, attracting more than 800 congregants each week, according to church leaders. It also has about 100 seminary students and a primary school catering to about 40 children. The former Trump-campaign adviser may be worried that his testimony could implicate him in a crime, according to legal experts.